Adolfo Morales de Los Rios was inspired by the Louvre and built Brazil’s first art gallery. With 20,000 pieces, the majority of the works are Brazilian and date from the 17th to the 20th centuries. 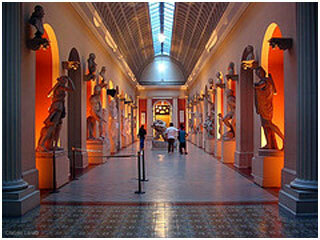 From sculpture and decorative art to popular and fine art, you’ll find a very good variety of art here. 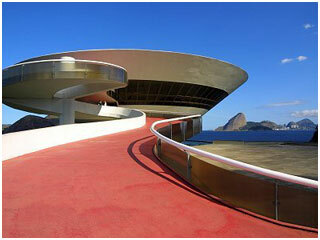 You’ll find contemporary art housed in one of the most iconic buildings designed by Oscar Niemeyer. When looking at the building from afar you might see a flying saucer hovering there above the earth. It’s definitely otherworldly but right at home. 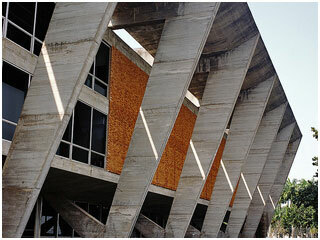 Perhaps those were Niemeyer’s intentions. This is definitely one building you must see in person. Most art enthusiasts say this is not the best place to look at art, but the building itself is quite remarkable. Designed by Affonso Eduardo Reidy, the main building is supported by giant pillars and trusses that allow for a titanic interior space free from obstruction. This museum used to be a private residence. 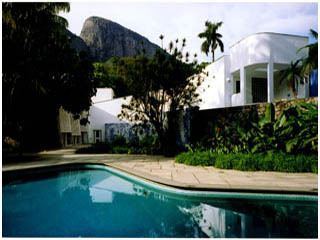 Now one can ramble inside the landscaped gardens or go inside and see 19th and 20th century photographic exhibitions of Brazilian artists. The first religious order in Brazil, the Benedictines, built this hilltop monastery in 1590. 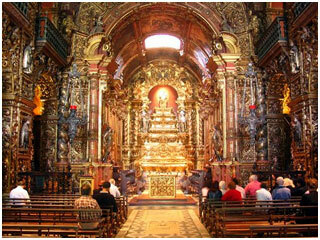 Dedicated to Our Lady of Montserrat (a black Madonna from Europe), the building contains elaborate and richly detailed interiors that took 70 years to complete.